March Classic 2013 – event of the year! GUELPH, ON (March 22, 2013) – The Grain Farmers of Ontario 2013 March Classic is being coined “the event of the year”. With record attendance exceeding 625 farmers, an exhibit hall overflowing with 60 displays, and more than 20 conference sponsors, the March Classic has reached a new level of excellence. Grain Farmers of Ontario recognizes and thanks the Honourable Kathleen Wynne, Premier of Ontario and Minister of Agriculture and Food, who greeted the audience at the closing reception. 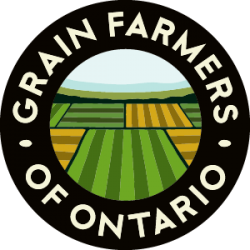 “Grain Farmers of Ontario appreciates the genuine commitment the Minister expressed to the grain sector,” says Henry Van Ankum, Chair of Grain Farmers of Ontario. “Many of our farmer members were impressed to have personal conversations with her as she toured the room during the meal”. The speaker line-up proved to be world-class with customized and insightful presentations from Evan Solomon, Cal Whewell and Elaine Froese. The day portion ended with crowd favorite, Ron MacLean, telling personal stories from 27 years in hockey and working with Don Cherry. CBC’s The Debater’s closed the day with a live show hosted by Steve Patterson joined by comedians Big Daddy Tazz and Phil Hanley. This trio of comedians brought humour to Ontario grain farming and the audience left the event laughing. To hear about the event from Steve Patterson’s perspective, read his blog post at: http://growingruralconnections.wordpress.com/. Grain Farmers of Ontario would like to thank all 20 sponsors and 60 exhibitors of the 2013 March Classic. 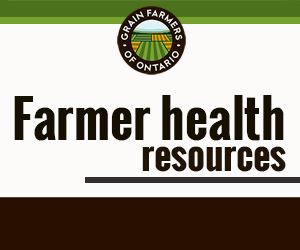 Thanks to their commitment and financial support this annual event is able to operate at little cost to the farmer membership of Grain Farmers of Ontario. To see first-hand the impact of the conference, search twitter hashtag #GFOClassic to review over 400 tweets from the event or visit www.gfo.ca/MarchClassic to watch video clips from the conference (additional clips coming shortly).